Due to the variety of attachments that are available to skid steer loaders, they excel at material handling and and maintenance (e.g., cleaning) -- perfect traits to have in mining machines. The material handling and production tasks are achieved using bucket, pallet fork, and dumper / hopper attachments. Maintenance tasks (involving both maintaining the site and the equipment) are accomplished using attachments such as brooms and belt scrapers. Skid steers are currently being used in connection with mining operations in Australia, Africa, and South America. This includes mining operations for a wide diversity of materials, including diamonds, copper, gold, coal, platinum, and iron ore.
Skid steer loaders are used in surface mining (including quarrying) and underground mining operations. The compact size of an SSL fits well in the confined spaces involved with underground mining. Because skid steers are so maneuverable, they are great for working in very constrained spaces. Their reputation for being durable and rugged has caused mining operations to invest in skid steer loaders. The wide variety of attachments available make them extremely versatile. Unlike other machines used in mining, they aren’t a dedicated machine. 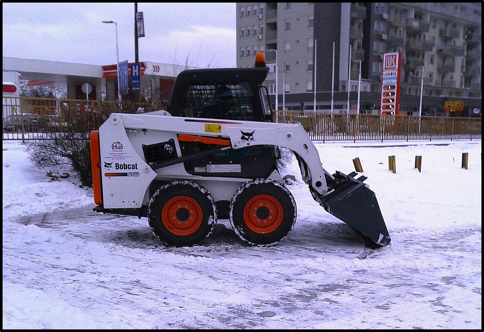 In a single day, a skid steer can be used for many different jobs. There are specialized skid steer designs specifically for use by mining operations. Manufacturers of these include JCB, Gehl, and Bobcat. Added features include flameproofing, on-board fire suppression, and advanced safety systems and features. Also available are attachments designed specifically for mining applications, such as those for cleaning beneath conveyors. Some models, such as those made by Gehl, have more rugged protection for the operator. Others, such as recent Bobcat models, may include a pressurized cabin with heating and air conditioning. JCB recently released a model that includes explosion prevention technology and a scrubber for the engine. Adding features like this poses special challenges for engineers who also have to keep the skid steer loaders as compact as possible. Mining operations are not usually located near repair shops, so when a machine goes down there can be significant downtime involved just waiting for a technician or parts to arrive. That’s why it’s important that you establish a good relationship with your local parts or final drive supplier. 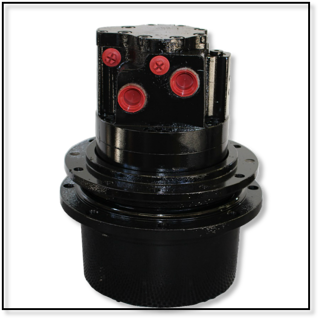 Reman final drives can be an excellent option when it comes time to replace the hydraulic motor on a mining machine: they are economical, tested to verify that they meet or exceed original OEM specs, and can last longer than a brand new final drive. Skid steers are growing in popularity when it comes to mining applications, in part due to their compact size, versatility, and power. The demand is increasing to the point that some manufacturers are developing skid steer loaders customized for the challenges faced in mining. This trend will no doubt continue.